Climate and energy lessons plans for high school students. ACE offers a range of climate science and energy lesson plans beyond the ACE Assembly. Check out our Ocean Acidifcation short animation, take our Climate Quiz and browse ACE’s Science Reports, written at a perfect level to engage high school students. An educational resource developed by the Environmental Network of the Anglican Church of Southern Africa (Green Anglicans) to provide a resource for Sunday Schools for children aged 5-12. Some of the activities can also be used with older or younger children. The aim of the manual is to build healthy relationships with God, each other and all creation. Also, to help children understand and appreciate the inter-relationships and mutual interdependence of all life on earth, that we are part of a ‘web of life’. Education and the Environment Initiative (EEI) has engaging lessons plans and free teacher training that delivers an exciting way to support an exploration of climate change from a wide-range of perspectives, including: people and places, natural systems, food production, energy production, the environment, extinction past and present, history, etc. 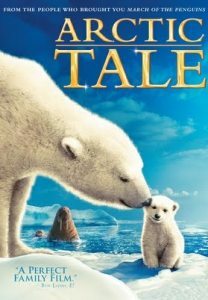 Arctic Tale With breathtaking footage of life on the arctic tundra, the directors spin a highly emotional tale of the melting ice caps and the effect of their disappearance on every species in the ecosystem. Since the film is essentially aimed at children, the cuteness factor is off the charts, aided by the slightly grating use of sound effects, a slangy voiceover by Queen Latifah, and a kid-friendly pop/folk soundtrack. And, as in a National Geographic special, viewers learn some interesting and neutral facts about polar bears, walruses, narwhals, foxes, and other northern creatures. The narrative, however, returns repeatedly to the grim conditions that are killing off our planet’s wildlife, one family at a time. The directors take pains to create a hopeful ending, with a sweet pair of life-goes-on epilogues and a closing credit sequence featuring conservation tips, but the message of the film is sobering and hits its mark with kids and adults alike. Free: Operation Creation, by Barb Holtz with Jody Gunn and David Radcliff is a five-session care for creation curriculum for elementary children provided by the New Community Project. This 14-page PDF resource contains lesson plans for children. Each includes an introduction, scripture, prayer, craft, activity/snack, story, mission, closing, and take-home assignment. Keepers of the Earth: Native American Stories and Environmental Activities for Children, by Michael Caduto and Joseph Bruchac helps children connect with the natural world while telling important environmental concepts. Each section contains a Native American story, discussion ideas, interesting questions, and related indoor and outdoor activities. FREE:Traditional Tree Tales from the Auerbach Central Agency for Jewish Education contains three short tales adapted from the Talmud or traditional Jewish fairy tales. These short and simple stories can be told to young children or acted out. 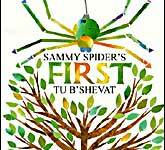 Sammy Spider’s First Tu B’Shevat by Sylvia Rouss is a delightful, vibrantly illustrated book about a spider who years to join in the Jewish festival of trees. If the children in your life like Eric Carle’s books, they’ll like this one, too. Let’s Explore God’s World by Debby Anderson is an energetic romp across God’s wide, wonderful planet prompts kids to join in the experience of nature while cheerfully guiding them in the adventure of caring for his world. Combining an instructional focus on the five senses with a spiritual focus on God’s gift of life, the book encourages kids and caring adults to have a blast exploring–and learning to protect–our earthly home. The North Pole is Sinking! A Tale about Global Warming by Ethan Khiem Matasuda and Michael Matasuda is written by a schoolteacher and his son. This engaging children’s book helps children understand their roles as global citizens, the big picture of global warming, and the importance of making a contribution. Wicked Cool Sustainable Solutions for the Earth Coloring Book by Becky Johnson is an engaging, creative tool to get kids thinking about their impact on the Earth. This terrific classroom or home-schooling resource includes sections on Local Environment, Food, Conscious Consuming, Energy, Transportation, and Reduce, Reuse, Recycle. Ecology Crafts for Kids: 50 Great Ways to Make Friends with Planet Earth by Bobbie Needham is a colorful, user-friendly book full of large photographs and easy step-by-step instructions to make crafts from recycled or reused materials (and bits of nature). Projects include gift wrap, planters, envelopes, bird feeders, mosaics, puppets, and candles. Play Lightly on the Earth: Nature Activites for Children 3 to 9 Years Old by Jacqueline Horsfall provides ideas for outdoor activities with an emphasis on learning and exploring while minimizing one’s impact. Each activity contains an objective, preperations, options and discussion questions well-suited for young children. Journey for the Planet: A Kid’s Five Week Adventure to Create and Earth-Friendly Life by David Gershon is another useful guidebook full of earth-actions for kids, complete with reasons behind each action, materials needed, time, and fun illustrations. Recycling with Arnie and Bing by Ann Wagner A children’s book for elementary-aged students (primarily for 2nd and 3rd graders) Arnie (a pickle jar) and Bing (a lemonade can) meet in a grocery cart. Their friendship grows when they’re placed side by side in the refrigerator and discover they share a love of singing. But after a picnic, and they’ve been emptied, they’re tossed into a recycling bin, picked up by a truck, and lose each other among all the other recyclables! Will they ever see each other again?